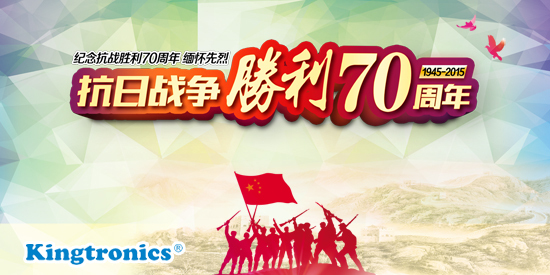 To commemorate the 70th anniversary of the end of World War II, a newly added public holiday on September 3 in line with the mainland's designated national celebration day. Kingtronics will close office on this day and resume work on September 4 as normal. For inquiries, please send to our sales person email or info@kingtronics.com , we will reply you at the first time. Let us enjoy peaceful and harmonious world together.